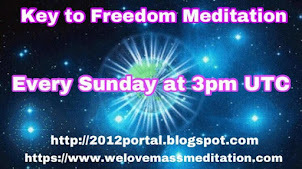 Thanks very much for everyone who did the meditation for Corey Goode yesterday and today at 5 PM UTC. Corey has left the ER and returned home safely. He also confirmed in his Facebook post that he was down with a very bad flu. 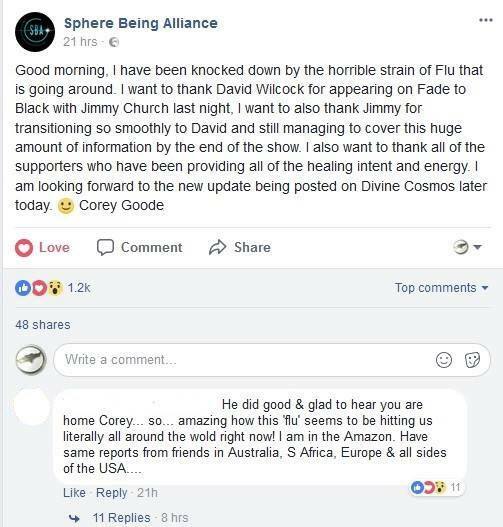 Also, in the latest update from David Wilcock published yesterday, we can see that both Corey's daughter and Emery Smith are also suffering from the same flu influenza as well. 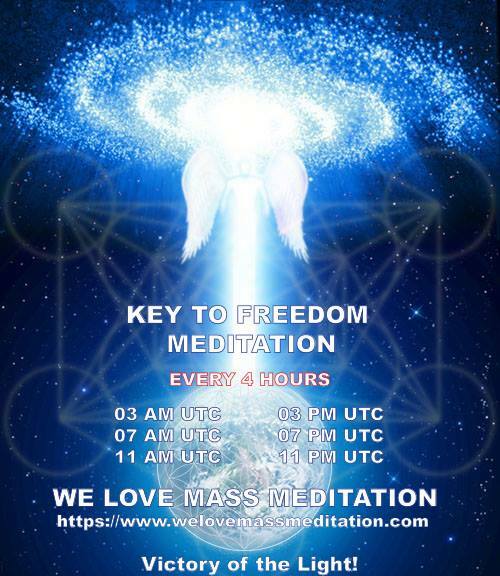 Therefore, we will continue to do the meditation for him, his daughter and Emery Smith for the next few days at 5 PM UTC until all of them are fully recovered. 2. 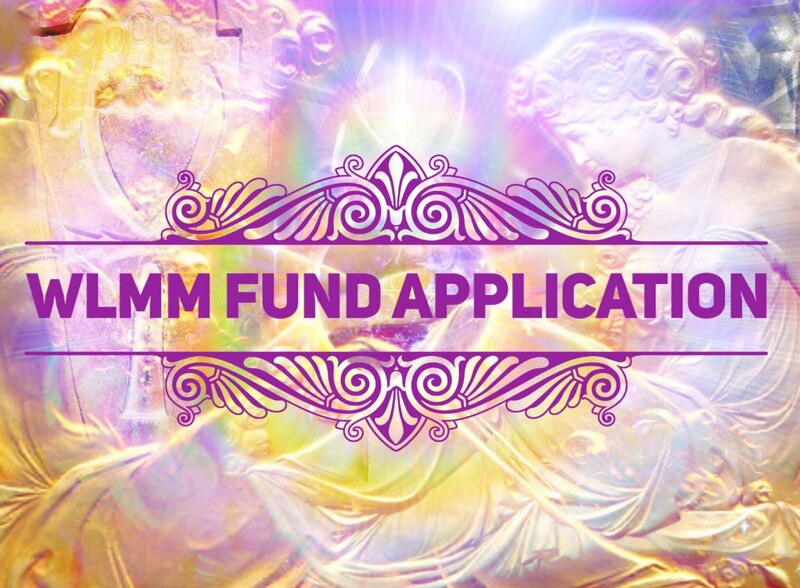 State your intent to use this meditation as a tool to bring Divine protection and healing to all whistleblowers working for the Light, allowing them to complete their missions in peace, free from any and all negative interference. 3. 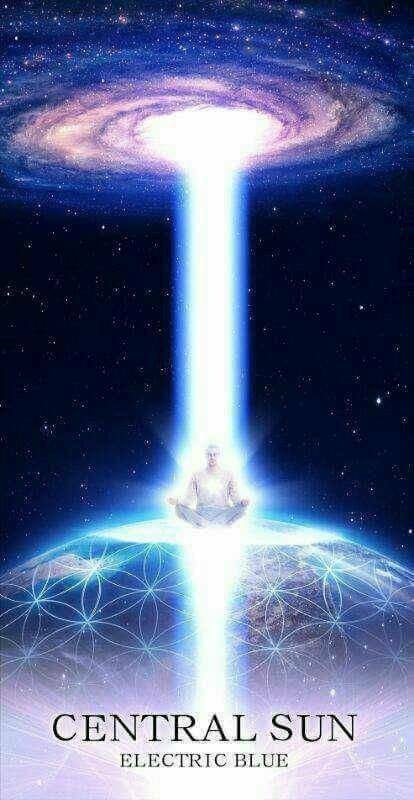 Visualize a pillar of Light emanating from the Galactic Central Sun, then going through all beings of Light inside our Solar System, and then through your Soul Star Chakra and through your body to the center of the Earth. 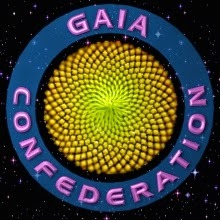 Now visualize another pillar of Light rising from the center of Gaia up through your body and upwards into the sky towards all beings of Light in our solar system and our galaxy. You are now in two pillars of light. 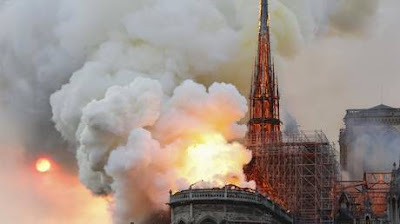 The light flowing both upwards and downwards simultaneously. Keep these pillars of light active for a few minutes. 4. 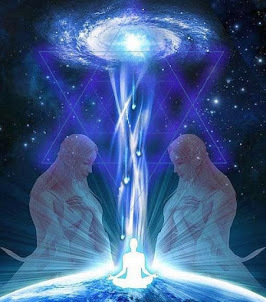 Visualize a vortex of brilliant white Light descending from the I AM presence of all whistleblowers into their soul star chakras. Visualize this white light showering down through their whole bodies and aurae. 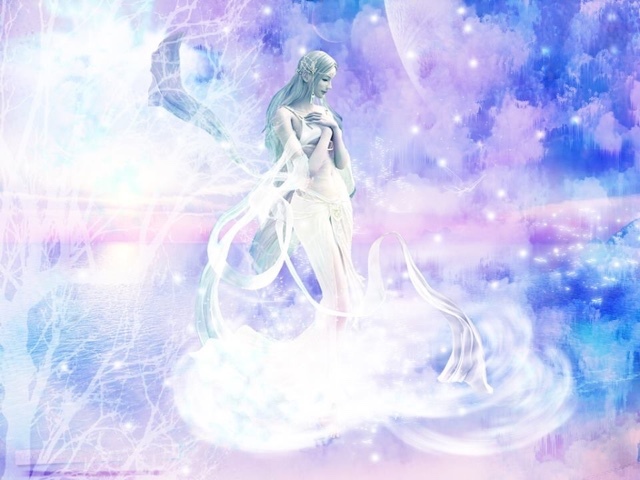 See this Divine light healing all whistleblowers throughout all of their bodies (physical, plasma, etheric, astral, mental and causal) across all time, dimensions, space and realities. See this light glowing brighter and brighter as you visualize all whistleblowers in perfect health. 5. Visualize all whistleblowers surrounded by a team of powerful and benevolent beings of Light, who stand by them and protect them as they joyfully and effortlessly complete their missions. Visualize a powerful shield of golden light surrounding each of their aurae. See these shields becoming increasingly strengthened as the white light pours into their aurae. Set the intention that these shields be made permanent to protect them from all negative interference from this point forward. 6. Visualize every whistleblower in perfect bliss. A new guided audio for the generalized meditation for all whistleblowers will be created. Unilt then, the guided audio for the original meditation for Corey Goode has been created in 8 languages. 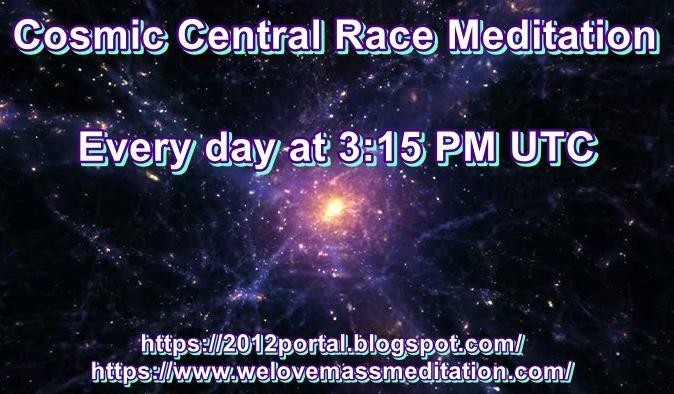 Special thanks to my friend and fellow Lightworker Ada Shaw and her team for such an efficient effort. Now, both parties have agreed to make this a weekly meditation on every Saturday between 12 PM - 12:30 PM UTC, which is equivalent to 8 PM - 8:30 PM PHT in Manila. 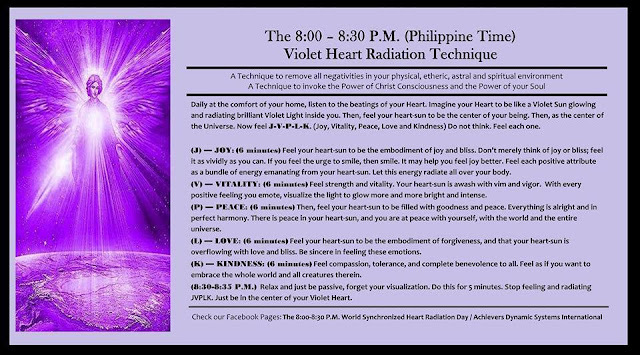 You can find the instructions and guided audio of this meditation in the link below. 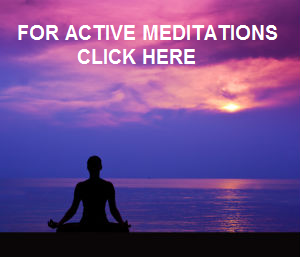 Please note: this meditation is more than three times the length of our usual meditations, which are calibrated at a length that is long enough to achieve an energetic shift and short enough for both novice and long-time meditators and synchronized to allow the most people around the world to participate at the same time. It resonated with enough of our group and support team that we are glad to provide it for you, and are grateful to Achievers Dynamic Systems International (ADSI) for sharing it. As always, choose what you can do and what resonates with your Higher Self. 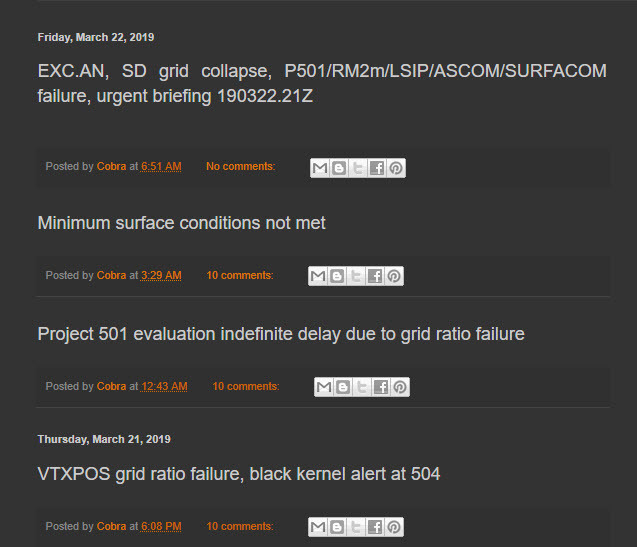 From the latest situation update by Cobra, we can see that the Jesuits and the Knights of Malta are trying to misuse exploit the energy signature of the Roman-Persian wars to create a new war in Iran. We have a meditation for this situation ready, and we will publish it as soon as we can. Until then, you can help by visualizing this piece of ancient Halafian pottery rotating over (present day) Iran and (ancient) Persian Empire at any time of the day as you wish. Here is a very good animation of the rainbow vortex around the planet cleansing all anomaly on plasma level, which I have put on the sidebar of the blog earlier this week. This vortex is propelled by the advanced technology of Light pillars (ATVOR), which are being used by the Light Forces to resolve the primary plasma anomaly. "The AN conversion is a system of direct transmission of Light that bypasses contingency filters, and therefore transmits the flow of Light in its fullness, all the way down the planes. 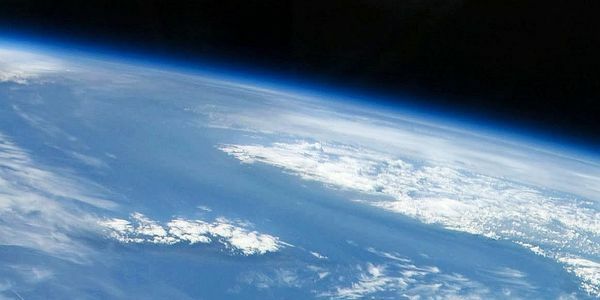 This allows the Divine Will to be transmitted by Light, into the densest matter of all planes, transmuting, healing and reconnecting all reality back with the One." Since the beginning of January 2018 the Light Forces are working more closely to the Earth surface as the major plasma anomaly is now extending only 3 Earth radii from the planetary center (which is about 19,000 km or 12,000 miles from the Earth center). You may use this animation as a tool for your meditation - visualize this cleansing process of the rest of the plasma anomaly around the planet and so be of a great help to the Light forces!